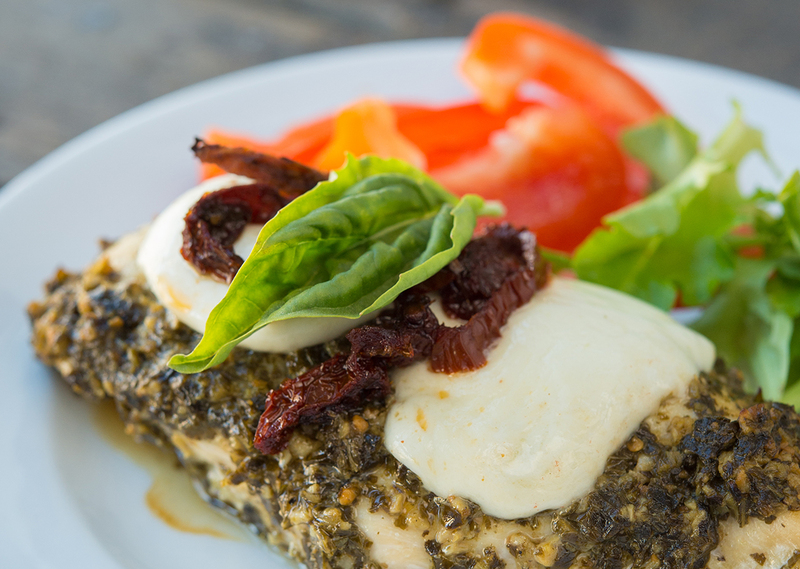 Mozzarella, pesto and sun-dried tomatoes make for a delicious flavor combination. Serve chicken with brown rice and roasted veggies. In food processor, add pine nuts, basil, garlic, Parmesan, lemon juice and salt. Blend until just combined. With food processor running, slowly pour in olive oil. Continue to blend until smooth. Use knife to score top of each chicken breast and place in zip-top bag. Pour in pesto, seal bag and massage pesto into chicken. Marinate chicken in refrigerator for at least 30 minutes. Attach upper and lower grill plates. Preheat Grill & Broil to 400°F. Remove chicken breast and place on preheated grill. Grill for 8 minutes or until chicken reaches internal temperature of 165°F. 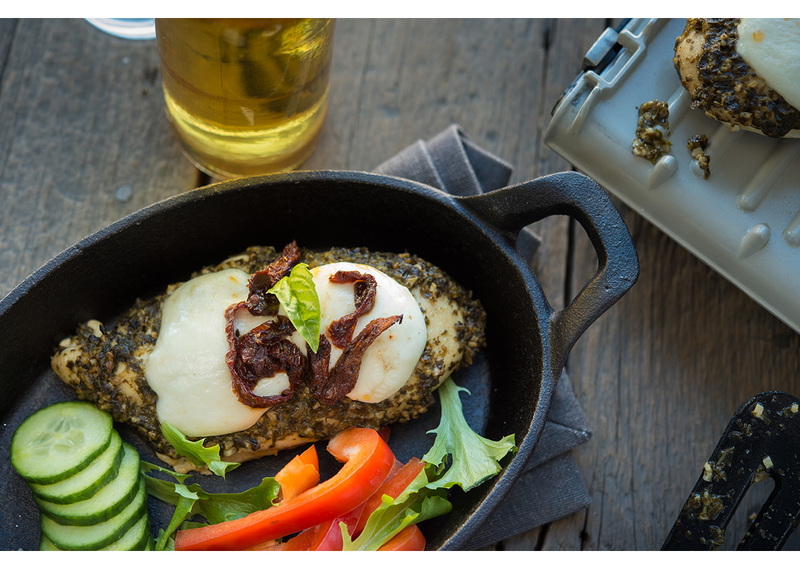 Carefully remove upper grill plate and top each chicken breast with sundried tomatoes and sliced mozzarella. Cook on HIGH Broil for 2 to 3 minutes or until cheese is melted. Tip: Serve hot with brown rice and roasted veggies. *Stick to chicken breasts no larger than ½” thick; once topped with mozzarella and sundried tomatoes, broiler will not function properly if any thicker.